After today's press launch for this year's London Film Festival, much of the discussion centred on films that didn't appear in the programme. I had certainly expected to see pictures like Love and Other Drugs, Somewhere and Rabbit Hole in the line-up; I had hoped to see Caves of Forgotten Dreams, Outrage and In a Better World; and I had clung on to the tiny possibility of a True Grit screening (and the infinitesimal chance of Tree of Life making an appearance). None of these pictures did appear in the 30 minute preview reel that played at the Odeon Leicester Square, but some very interesting features are in the programme (although the first three are all Surprise Film contenders), and here's my take on the programme for LFF 2010. 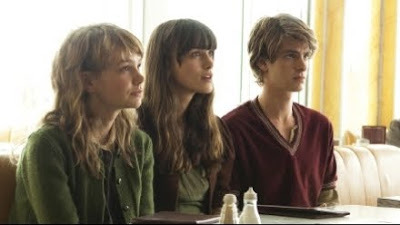 I'm not a fan of Kazuo Ishiguro's novel Never Let Me Go, so this adaptation was an underwhelming choice for the opening film, and the brief snippet I saw this morning didn't excite me. The film is directed by Mark Romanek, making his first feature since the striking but sterile One Hour Photo, and it stars the three go-to British actors of their generation: Keira Knightly, Carey Mulligan and Andrew Garfield. It's sure to be an awards contender, but this is not top of my list of films to see at the festival. The closing night picture, however, is a much more enticing prospect. 127 Hours, Danny Boyle's first film since the runaway success of Slumdog Millionaire, is the story of Aron Ralston, a mountain climber who found himself trapped under a boulder in Utah and was forced to cut off his own arm to survive. It's an astonishing true story and will prove a demanding challenge for both Boyle and star James Franco, with the central character being alone and immobile for much of the picture. Darren Aronofsky's Black Swan, a psychological thriller about rival ballet dancers, is one of the films I'm very much looking forward to at this year's festival, with Natalie Portman reportedly giving a superb performance in the lead role. Aronofsky has been on an uneven streak, but at his best he is capable of creating vivid sequences that deliver a real emotional punch. I'm also intrigued by Biutiful, even though I've liked Alejandro González Iñárritu's films less and less since his outstanding debut Amores perros. However, a lot of that was down to the contrived screenplays provided by Guillermo Arriaga and this film marks Iñárritu's first feature since that pair went their separate ways. He remains a truly gifted director but he also has a weakness for melodrama and portentousness that may well be exposed by the story of a dying man (Javier Bardem) who can connect with the dead. 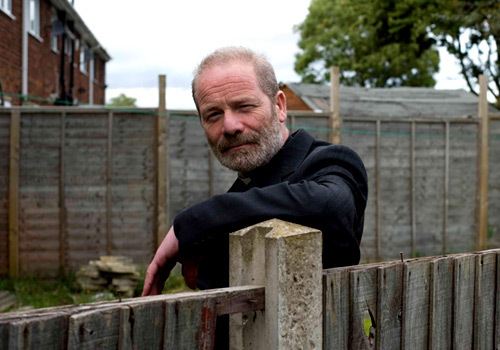 For his latest film Another Year, Mike Leigh has called upon a cast of familiar faces, including Jim Broadbent and Lesley Manville, in a story about ageing and loneliness, while Apichatpong Weerasethakul (thankfully, he also answers to "Joe") brings his distinctive Palme d'Or winner Uncle Boonmee Who Can Recall Past Lives to the festival. However, of all of the films that were announced this morning, The Great White Silence was the one that actually made me gasp with excitement. A documentary that details Captain Scott's fateful journey to the South Pole, it was shot by the Terra Nova's official cameraman Herbert Ponting and it has now been fully restored and will be presented with a live score at the Archive Gala. The images shown at the press launch were breathtaking, and I can't wait to see the rest of this invaluable documentary. 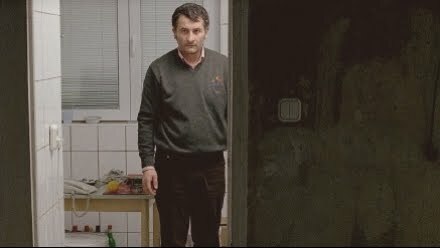 Despite a warning from a friend who saw the film at Cannes, I'm still looking forward to seeing Cristi Puiu's Aurora, in which the director himself plays a disgruntled man slowly drifting towards murder. The key word there is slowly, as I've been told that the picture's pacing makes it something of an ordeal, but having directed the brilliant The Death of Mr Lazarescu a few years ago, Puiu is a director who has earned my trust. Similarly, the enormous leap directors Anna Boden and Ryan Fleck made from Half Nelson to Sugar ensures I'm eagerly anticipating their third feature It's Kind of a Funny Story, which once again takes them in a new direction. Olivier Assayas is another director who constantly seems to be reinventing himself, and his biopic of Carlos the Jackal is surely his most ambitious film yet. It was originally made for French TV, but I'm looking forward to devouring all five and a half hours of Carlos in one sitting, even if it will take up the whole of my Saturday afternoon. Other fine directors bringing their work to the festival include Errol Morris with Tabloid and Kelly Reichardt with Meek's Cutoff. I'm tentatively looking forward to Gregg Araki's Kaboom, even though I suspect this may be closer in tone to his earlier work (which I hated) than his recent Mysterious Skin and Smiley Face. I'm not really a huge fan of Jean-Luc Godard either, but the hugely divided opinion that greeted his latest film at Cannes has piqued my interest. Film socialisme is another of Godard's cinematic essays, with the director utilising a wide range of footage to say...well, what exactly? One way or another, it's sure to provoke much debate and a number of heated reactions. I'll probably also try to make time for George Clooney in The American, Michelle Williams and Ryan Gosling in My Blue Valentine, Jerzy Skolimowski's Essential Killing and 21 year-old sensation Xavier Dolan's Heartbeats. Richard Ayoade presents his directorial debut Submarine at the festival, while Thomas Vinterberg returns with, er, Submarino, and Jan Švankmajer is back (hooray!) with Surviving Life. Of the French features at the festival, I'm glad to see another effort from Catherine Breillat, whose recent fascination with gothic fairy tales has resulted in an adaptation of Sleeping Beauty. Benoît Jacquot and Guillaume Canet are back with Deep in the Woods and Little White Lies respectively, while the ever-excellent Isabelle Huppert plays a prostitute in Jeanne Labrune's Special Treatment. Further afield, The Autobiography of Nicolae Ceauşescu is a documentary telling the story of the Romanian leader's rise to power, Hunting & Sons is a Dutch feature exploring the breakdown of a marriage over an unplanned pregnancy, and Daniele Luchetti – director of the acclaimed My Brother is an Only Child – returns to the festival with Our Life. Eva Green and Matt Smith star in Benedek Fliegauf's Womb, Mars uses intriguing animation techniques to tell an unusual sci-fi story, and Lemmy is a documentary about the legendary Motorhead frontman. The clip shown from this film at the press launch drew big laughs, when Lemmy disputed the claim that sleeping with 1,000 women was a big deal ("I'm 63 years old. If you work it out, it's not that many a year"). To be honest, one of the chief pleasures of the LFF is always finding unexpected gems from all over the globe. After a quick glance at the programme the following films caught my eye: Southern District (Bolivia), Sawako Decides (Japan); Life, Above All (South Africa); Joy (Netherlands); Sandcastle (Singapore); The Magic Tree (Poland); Mysteries of Lisbon (Portugal); Cold Water of the Sea (Costa Rica); Orion (Iran); Revolución (Mexico). This year's archives strand is tremendously exciting. Aside from the screening of The Great White Silence that I've already covered, there are restored versions of The Bridge on the River Kwai, Pandora's Box, Boudou Saved From Drowning, Man With a Movie Camera and Picnic. Above all, there will be a presentation of Edward Yang's 1991 film A Brighter Summer Day, which was recently restored by Martin Scorsese's World Cinema Foundation. This is a film I've wanted to see for years, and I was delighted to see it in the programme. 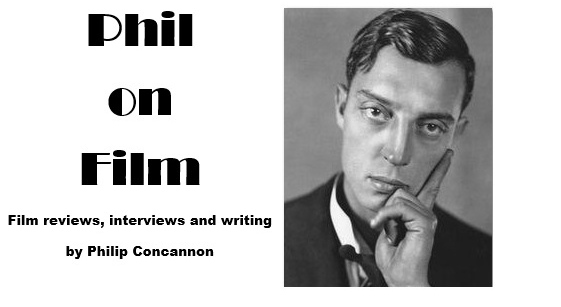 There's an impressive line-up of actors and filmmakers appearing at the NFT this year for onstage interviews about their career and their craft. Peter Mullan, Hilary Swank, Mark Romanek, Javier Bardem, Olivier Assayas, Darren Aronofsky and Alejandro González Iñárritu are all scheduled to appear. At this early stage, I'm putting my money on Somewhere, which would be both predictable and disappointing. I'd like to think it could be True Grit or The Way Back, but of course I'm still dreaming about Tree of Life. Yeah, I know it will never happen...but wouldn't it be the best surprise film ever?